SteamSpa is the only company that allows you to control time and temperature settings from both inside and outside of the steam area with a dual control system. 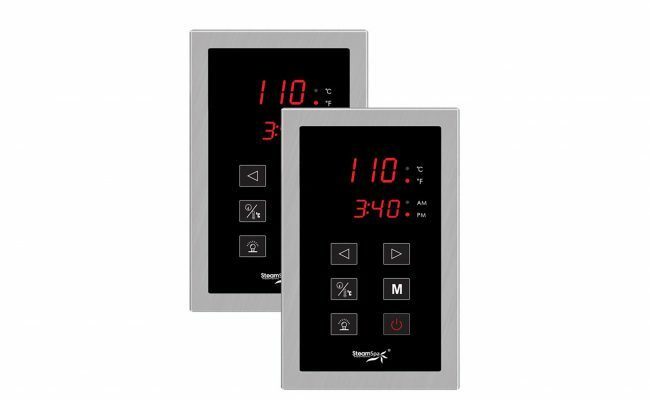 Select the desired duration and temperature of your steam bath with SteamSpa’s programmable control panel. Controls are included for optional in-shower lighting or the SteamSpa chromotherapy treatment, which uses colored lights to enhance the soothing SteamSpa experience. The programming feature plus memory (optional upgrade) means your settings can also be stored in the panel’s memory for future use. Choose from a variety of finishes to customize your spa atmosphere. Put the power at your fingertips with this high programmable LCD control system. 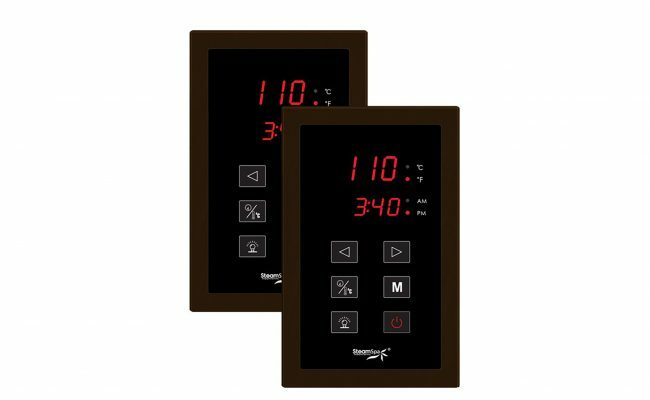 The full range of functions for your SteamSpa sauna or steam bath can be found on its display, including digital clock, steam bath timers, tempurature settings, and chromatherpy settings for the unit.